Fire Station 8 - Columbia, MO - PWArchitects, Inc. 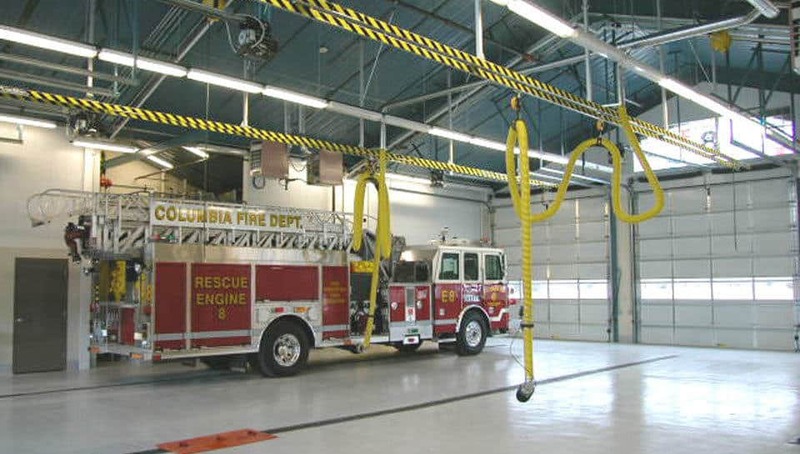 This 7,700 square foot drive-through apparatus station was the beginning of something new for the Columbia Fire Department. A prototype station that meets the current and future needs of the community, Station No. 8 anchors the southeast region of the City of Columbia. The $1.05 million station addresses the need for flexibility by utilizing a modular concept that allows for the growth of each critical element of the station and flexibility of placement with respect to critical elements of function. 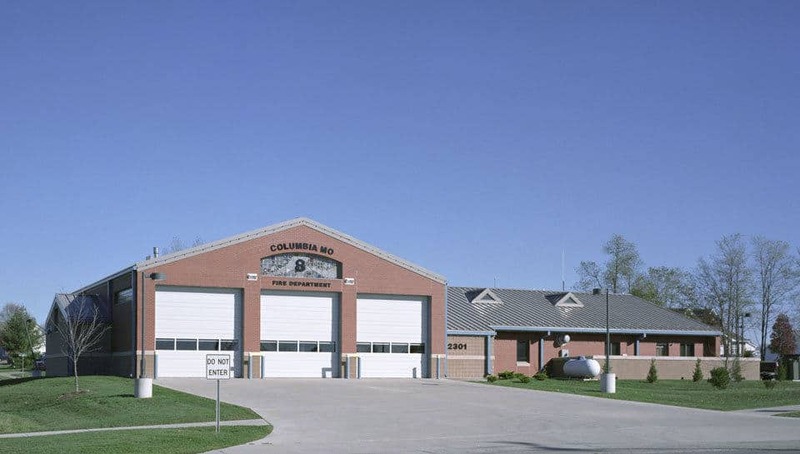 The planned addition of two future stations demanded that the plan allow for a drive-through or back in apparatus as well as single or double deep truck storage that could expand. The design allows for multiple main entry presentations and flexibility with differing site requirements on different sites. A police department substation adds to the growing neighborhood presence of the Police department throughout the community. In working with the federally funded percent for art program the station design required community interaction through neighborhood meetings and presentations with the designers that allowed the blending of the architecture of the building and site with the art that forms a new neighborhood center.